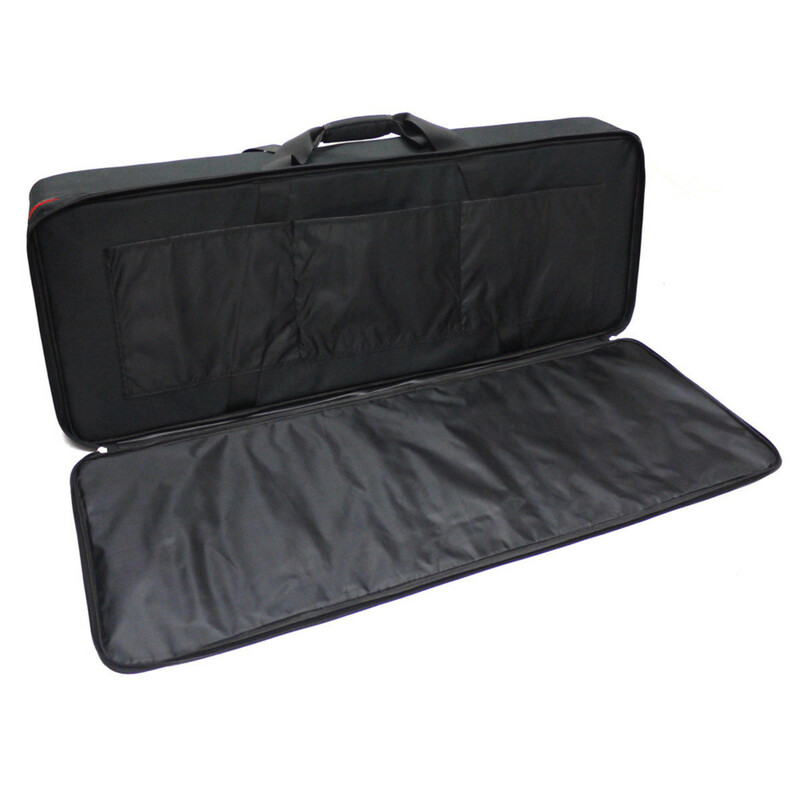 The Tom and Will 61 Note Keyboard Bag is part of the busker series and comes with a protective 20mm of padding. 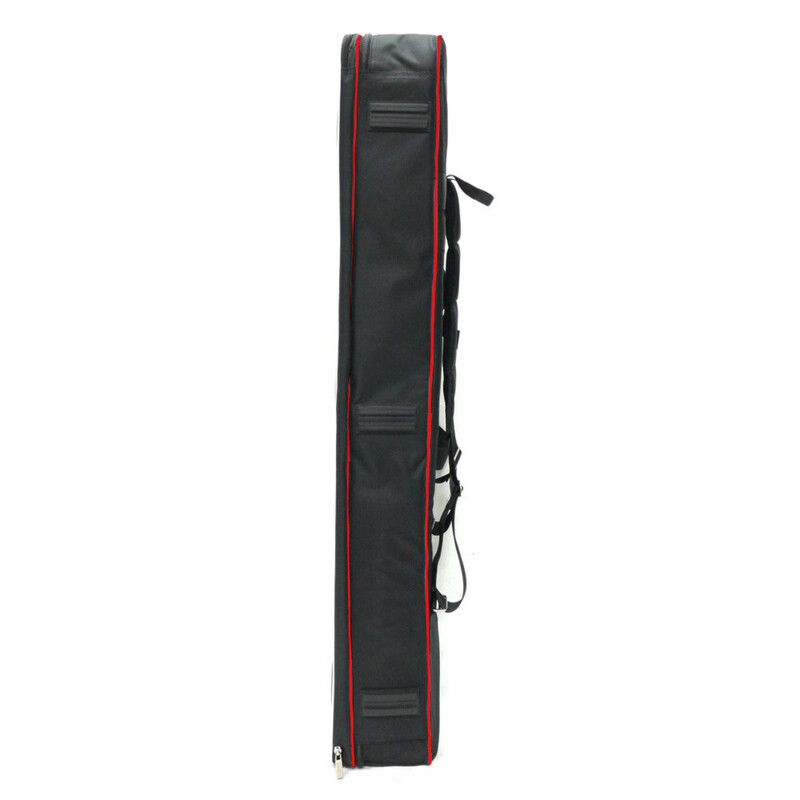 Finished in black with a red trim, this gig bag features full length front pocket, additional compartments, integrated back straps, handles, and heavy duty zip pulls. 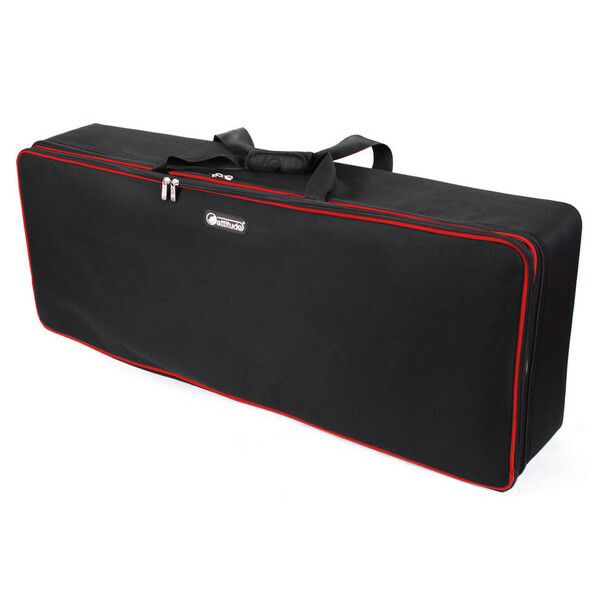 This lightweight and attractive bag is ideal for key players on the go. Suitable for instruments weighing up to 15kg.